In the middle of it, sometimes it seems to take forever. So many months with no alcohol, so many uncomfortable symptoms, so many nights wondering if you will EVER sleep again or if you might as well just move into the bathroom because you literally have to pee again AS you are flushing. But then it’s over. With Peaches, I remember feeling sort of alone — for so long, I’d carried an actual person right along with me wherever I went, but suddenly there was no more rolling or pushing or kicking. My whole core was just…empty. I’ve had less time to reminisce this second time around, but now and then I pause and marvel at what my body just went through. And then I get nostalgic. So please be patient with me, because I’m about to dispense some advice. Some of these are probably unpopular opinions, but it’s a way to look back fondly upon a time that, in hindsight, feels impossibly brief. 1. Get in the water. In general, I’m not what you would call a swimmer. I’m more of a lounge-by-the-pool-and-read-er. But that feeling of weightlessness is incredible when you’re carrying around a full-size baby plus a placenta (have you SEEN the size of those suckers? Much larger than I expected, let me tell you). You don’t even need to actually SWIM, unless you’re into that exercise thing. Just stand in three feet of water and suddenly you can sort of breathe again. Ahhh. 2. Show off that bump! When it comes to wardrobe options, pregnancy is actually really liberating. In the beginning, while I’m still trying to be covert about it, I definitely hide behind an assortment of flowy tops. But once a bona fide bump appears, pack up anything muumuu-esque! It’s a beautiful thing to be able to wear form-fitting sweaters with gusto — which is normally not my jam — because this is the one time in life when you don’t need to think about sucking it in. *Insert sigh of relief here. * It seems there’s been a bit of a generational shift when it comes to this topic, but I say rock it while you’ve got it. You are creating human life. That’s something that should be celebrated, not concealed. Plus, you can have that extra cupcake or twelve and no one will be able to tell the difference. Now that’s freedom. Why, no, that’s not a food baby. It’s an ACTUAL BABY (though there IS a bacon cheeseburger in there somewhere). Thanks for asking. After the wedding, we had photos and videos to confirm that yes, in fact, that split second in time was not just a dream. With P: no such luck. Her birth was so fast, and I was so out of it, that all I wanted to do when it was over was relive it. For days, I stared at this tiny miracle with her just-born, squished-up face, and tried to remember. “If we ever have another child,” I said to Al, “I want a video. No matter WHAT I say in the moment, do it.” So this time, he did. I didn’t even notice him recording. I don’t know what I expected — maybe like a filtered, highly-edited version of me from the waist up? A creative slow zoom on my enraptured facial expression when I met my son for the first time? Mm, not quite. Since I failed to give him any further instructions, he recorded the graphic version. I cringed the first time I watched it. I might have covered my eyes for a minute. I was shocked and a little embarrassed. But then I was amazed. I did that. I did THAT. And you can always delete the video if you decide you don’t want it, but you can’t go back in time and capture a moment that has passed. For the same reason, take weekly bump pics. Even if you feel gross and bloated and not at all like yourself, take them. Like Mary Schmich says, “In twenty years, you’ll look back at photos of yourself and recall in a way you can’t grasp now how much possibility lay before you and how fabulous you really looked.” This includes pregnancy. And as soon as that belly is gone, you might actually miss it. 4. Have date night EVERY NIGHT before baby. This is a guest contribution from Al. I asked if he could offer any tips from the husband’s P.O.V., and this is the only one he was really enthusiastic about. He especially recommends movies since they demand three consecutive hours of your time, and that’s a rather large commitment once you have kids. We miss movies. I mean, I think EVERY NIGHT is a bit excessive, but he made me promise I’d emphasize that part. Okay. So it’s in all caps. …and get ready to fold it into a fancy paper airplane and send it soaring straight out the window. One of my acquaintances was absolutely SET on a home birth but had complications that sent her to the hospital. A few friends ended up with unanticipated emergency C-Sections. I was supposed to get induced. Sometimes things work out exactly the way you expect — and LOTS of times, they don’t. 6. Be prepared to battle some gnarly symptoms. There are some seriously undesirable things about pregnancy. Some are semi-weird, but tolerable. A couple are borderline unmentionable. One of the most common symptoms, of course, is morning sickness — which, to an emetophobe, feels like the most terrifying thing ever. Truth be told, I was a little hesitant to even get pregnant in the first place, because I wasn’t sure how my body would react; and some women will tell you that “morning sickness” is actually “ALL DAY AND ALL NIGHT sickness,” for weeks and weeks and weeks and sometimes the entire nine months, and that sounded like a punishment worse than death. I was extremely fortunate the first time in that I experienced ZERO nausea with P. Apparently growing a boy did not agree with me quite as well — I was on the verge of vomiting (but never did) for most of the day. My phobia spun me into a ball of panic, and I asked for an anti-nausea prescription. Ultimately, I only ended up taking one pill; I’m wary of any medication, especially while pregnant. I tried ginger candies and Preggie Pops and saltines. Sea-Bands were a fail for me. Eventually, my battle plan involved snack bags of cheddar popcorn, a few sour gummy candies, a little bit of Coke on ice, and as much rest as I could possibly squeeze into my life. Thankfully, my “most of the day sickness” started to wane by week eight, and it had pretty much vanished by week ten. Hopefully you’re even luckier — but if not, be ready to develop your own personal battle plan. This might be the most unpopular opinion of all, but I am SO GLAD we did this. 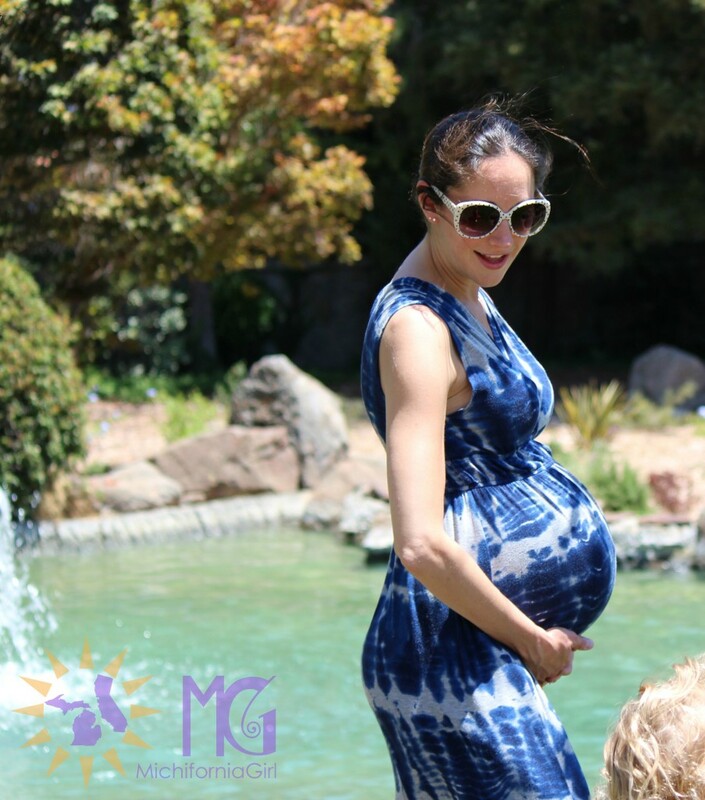 There is typically an unsettling stretch of weeks between the first ultrasound and the time you can feel baby movement, and having a fetal Doppler was so comforting for me. We rented a high-quality, FDA approved version when I was pregnant with Peaches, and it was such a great experience that we ended up buying it. No, it can’t prevent something terrible from happening, but I found it incredibly reassuring to hear the baby every now and then (I limited usage to twice a week). A couple friends advised against it — “You’ll go nuts if you can’t find the heartbeat,” they worried — but I figured, Well, without a Doppler, I DEFINITELY won’t find it, and rented away. Once you know what you’re listening for, it’s pretty tough to get confused. As the pregnancy progresses and movement becomes more apparent, you’ll probably find yourself using it less and less; but in those early-ish weeks, it can be a soothing solution to a bundle of nerves. 8. Don’t spend TOO much time reading about the pregnancy part. There’s nothing wrong with You’re-Almost-A-Parent! books (my favorite: A Child is Born). It’s totally fascinating to learn about all the stages of development, especially when photos are involved. But things REALLY get confusing (and overwhelming…and exhausting…) once the baby arrives. If I could do it over, I’d spend MUCH more time reading about child-rearing instead of what to expect during pregnancy. And here’s a related unpopular opinion: childbirth classes are more entertaining than helpful. It’s kind of hilarious to watch your husband put a diaper on a doll, and I don’t want to rob you of that opportunity, so I will recommend that you take a one-time Saturday morning course. But you’ll be just fine if you happen to miss out. 9. Take naps, you guys. Take sooo many naps. Pre-motherhood, it was absolute bliss to return from a long, draining day of teaching and crawl straight into bed. (Well, after a quick shower, of course, because germs.) This ritual became even more delicious when I was pregnant with P, but it also stressed me out a little because I was constantly thinking, You’d better enjoy this! You will never get to do this again! You will NEVER get to do this AGAIN. As it turns out, that wasn’t entirely true, but it’s best to prioritize the napping while you can. To be sure, naps are far more infrequent post-motherhood, but they’re still possible — especially when there’s just one kid. By the time you add a second, forget it. You pretty much have to be a nap ninja. So put down the pregnancy books. Quit doing Pinterest-y nursery things for a minute. Stop reading this post. Sleep now. I take that back. Sleep after you contribute a tip of your own to the comments below. So…next post is the birth video, right? hahahahaha! But I agree: We didn’t video our wedding ceremony, and I so wish we had. J.J. (sort of illegally) videoed my C-section, and I’ve watched it a billion times in the last two years. I’m so glad we have it! I mean, I’m trying really hard to be less private, so get ready for the feature presentation. Although I did almost lose my phone in Target the other day, and that video was one of the first things to cross my mind. First, because I haven’t backed it up on my computer yet (dumb); and second, because WHO WAS ABOUT TO WATCH THAT?! I’m glad you (or J.J.) thought to record it! It’s probably even cooler to revisit after a couple years have passed.